Macomb, Ill. — The Western Illinois University men’s basketball team is set to take the Purdue Fort Wayne University Mastodons. The Mastodons come into the game with a 12-8 record and 4-1 in Summit League play, which is tied for first with South Dakota State. They defeated the Jackrabbits 104-88 back on Jan. 3. That was the fifth time they have scored over the century mark. Their season high is 112 points against the Earlham Quakers. The Mastodons have scored over 90 points, and are 7-0. It is no surprise that this high-powered offense is 20th in college basketball in scoring, averaging 84.3 points a game. It is no shocker this offense has been so dominant. They are led by senior guard John Konchar. They also have a nice spark plug off the bench in sophomore guard Matt Weir, who is third in the Summit in 3-point field goal percentage, averaging 47.3 percent beyond the arc. However, with all the weapons the Mastodons have on offense, it has not translated to the other side of the ball. Fort Wayne gives up 77.6 points a game, which is tied for 300th in college basketball. Their poor defense is the reason they have eight loses, giving up more than 85 points in seven of those losses. 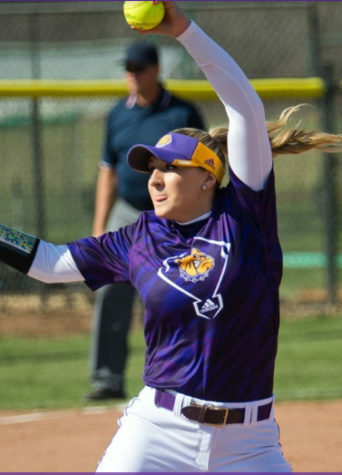 The Leathernecks are finally come back home after suffering a three-game losing streak on the road to Oral Roberts, North Dakota State and North Dakota. The Necks are an impressive 5-2 at home this year, but not so much on the road where they are 1-10. Lately, the Leathernecks have gotten great production from their two sophomore’s Isaac Johnson and Kobe Webster. In the last three games, Johnson has scored 15, 15 and 16. In the five conference games, Webster has average 16.6 points a game and is fourth in the Summit averaging 17.7 points overall. On the other end, it is no surprise that senior center Brandon Gilbeck is leading the Summit in blocks, averaging 3.9 blocks a game, but even more impressively, he is second in the nation in blocks. Gilbeck is also fourth in the Summit with 8.3 rebounds a game. The keys of the game for Western on defense is to shut down Konchar. There is no doubt he is in conversation for Player of the Year in the Summit League. In the Mastodons’ four out of eight losses, Konchar was held under his season average. The Necks also must be aggressive on the glass. The Mastodons have four of the top 23 offensive rebounders in the Summit, and no surprise Konchar leads the league with 2.8 a game. For offense there’s only one key to the game, give Gilbeck the ball. He is fourth in the Summit in field goal percentage averaging 61.1 percent, but only averages 9.3 points a game. If the Necks start feeding Gilbeck and have another scorer in double figures, it will open the offense up so much more.